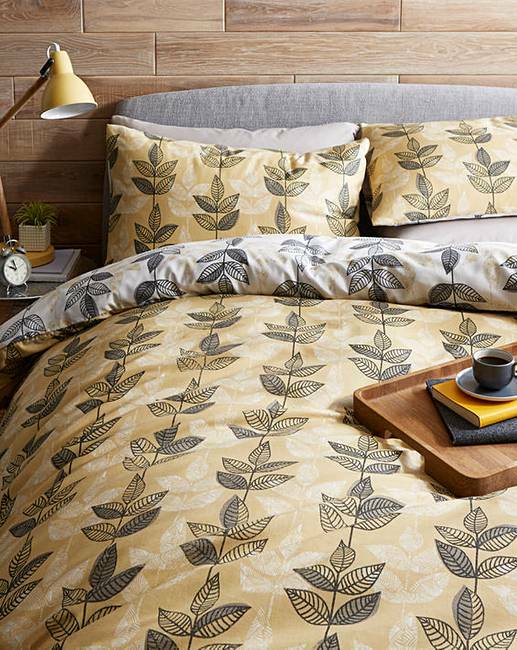 Barnaby Ochre Duvet Cover Set is rated 4.6 out of 5 by 13. 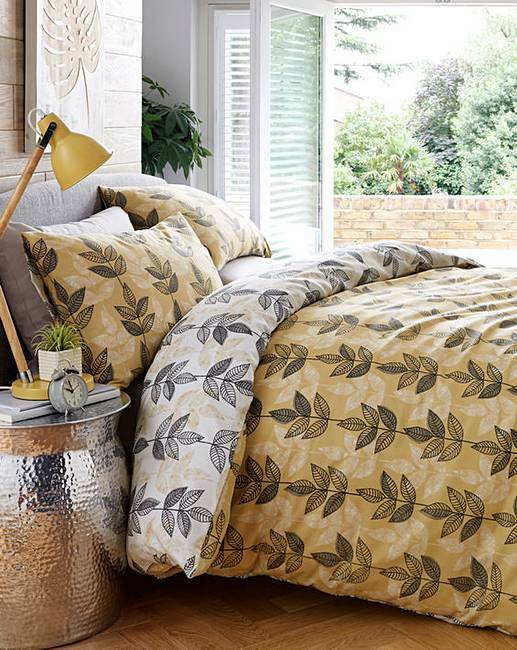 The Barnaby duvet cover set is a contemporary piece featuring a trailing leaf design. The colour contrast reverse offers an alternative look. 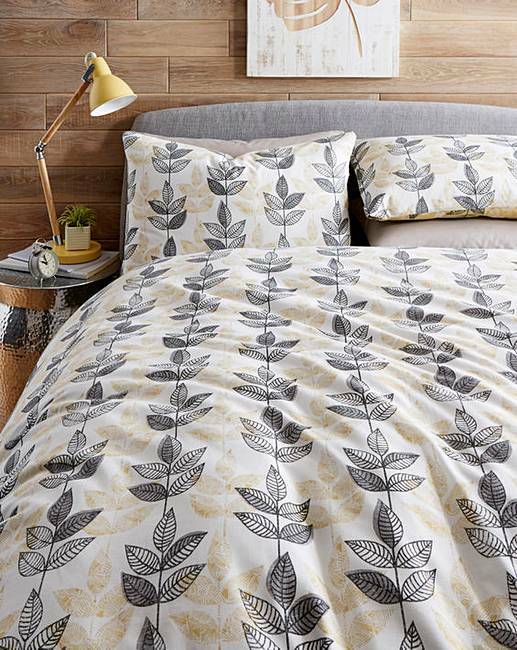 Rated 4 out of 5 by Holly Duff from lovely fresh design I ordered this duvet because I wanted a change to the usual colours I go for (grey, grey and more grey!). I am not disappointed: the colour is more of a gold colour rather than a yellow which I much prefer. Love the contemporary design and the fact that you can reverse it: should you wish to. Good quality material too. 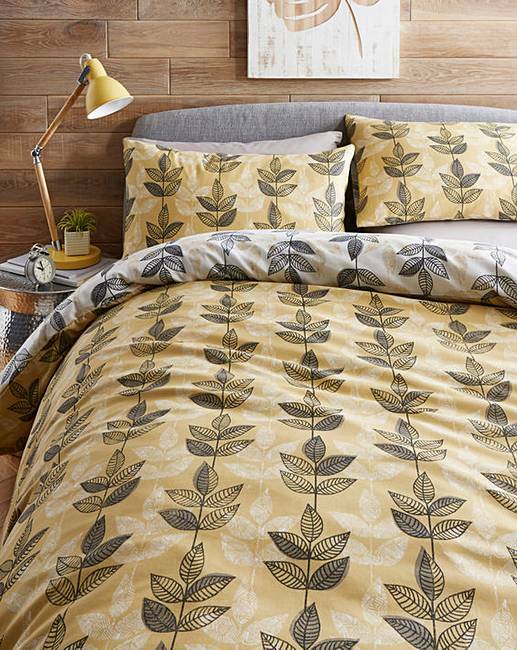 All in all; another great duvet from JD Williams! Rated 4 out of 5 by Susie from Duvet set I bought this a month ago and I was very pleased with the quality and price. Rated 4 out of 5 by Nadiazain from Super comfy looking I bought it for my new house. The yellow is not as bright as it looks in the pic but not bad overall.. the material is comfy and gives a cozy feeling.. Rated 5 out of 5 by Moorley from Great quality and colour I bought this in the sale and was surprised of the quality and fabric detail exactly as featured on site.. also reversible so great value for money. Rated 5 out of 5 by Shaz from Fantastic quality I bought this a few weeks ago, the quality is excellent. Washes really well and the colours are exactly as shown. Being reversible in different colour is an added bonus. Rated 5 out of 5 by patsy56 from Great quality I bought this in a single and double set, love the pattern.